Howdy everyone,, are you ready for the Birthday Bash? Have your bought your ticket yet? There are still a few left- so hurry! 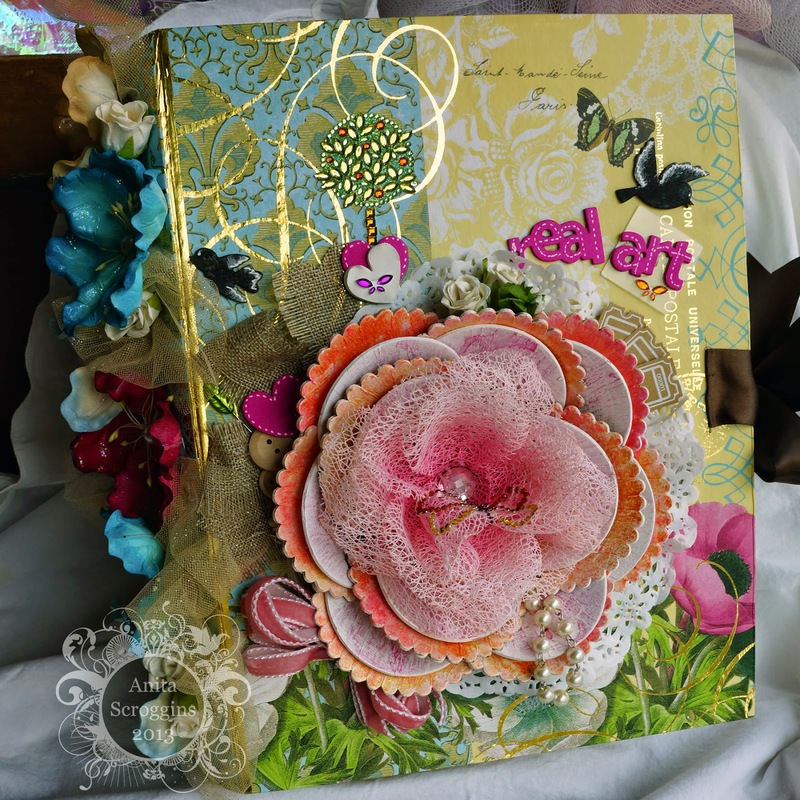 We are having a Design Team Challenge here at The Crafty Scrapper - everyone was given the same bag of supplies and had to create a project with it. I am so amazed at how talented these ladies are and the beautiful projects they turned it!! We will be featuring one of the DT members and their projects everyday from now until the Birthday Bash on April 12th. So be sure to come back and see them all!! I started with a piece I have had laying around the studio for some time- a fake decorative book. 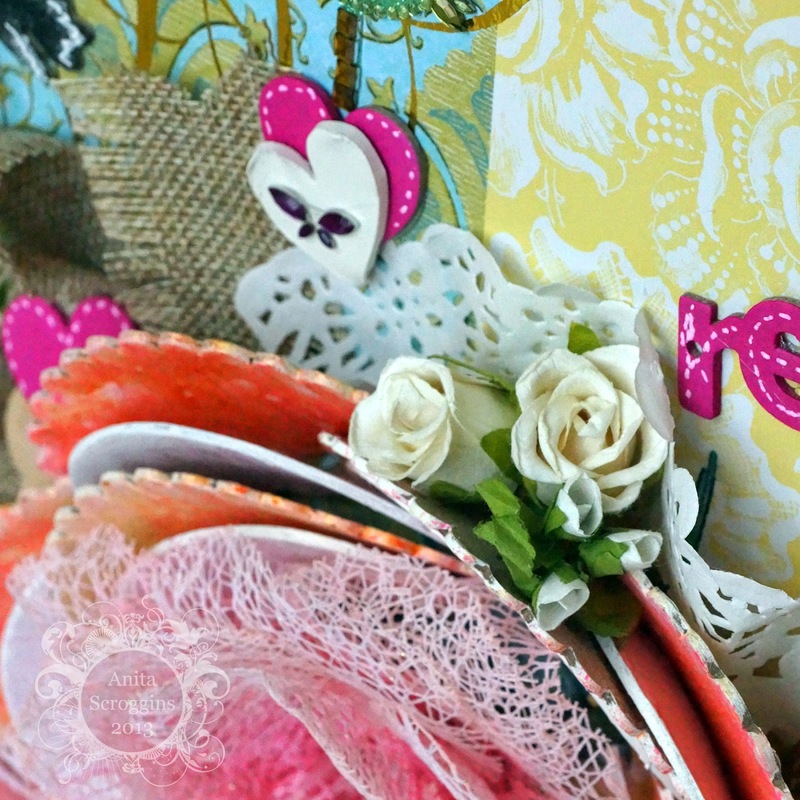 All the pieces of chipboard that you see surrounding the flower were included in the challenge kit. I knew right away that I wanted to make a flower out of them. I simply bent them in shape, painted white, then sprayed with Ranger Perfect Pearls and Dylusions sprays. I used hot glue to hold everything in place. 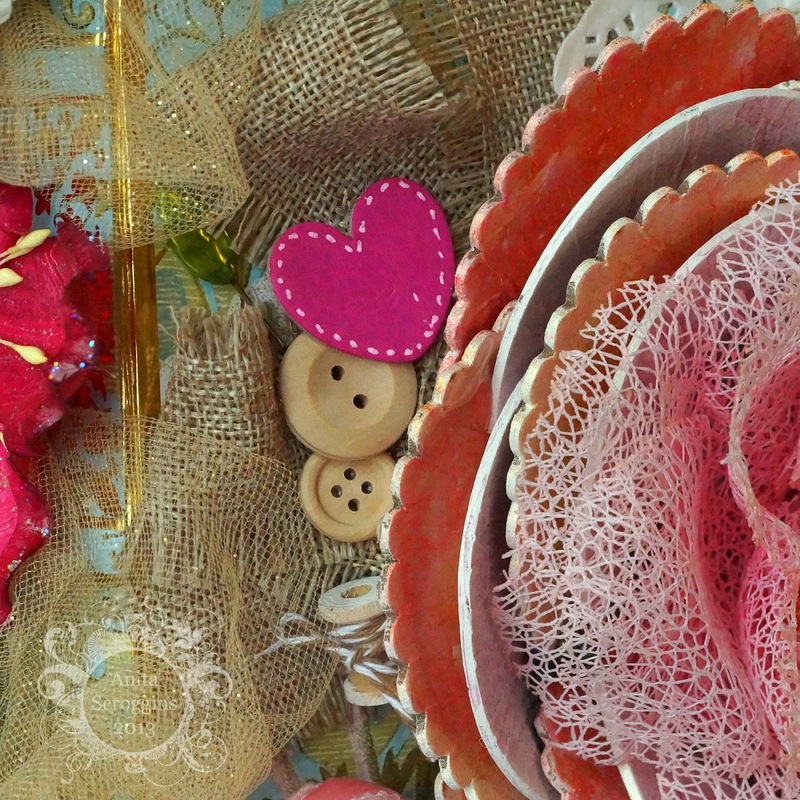 Of course the chipboard pieces are from May Road, as are the buttons, pearl chain, ribbons and tickets. My center flower I picked up at the craft supply. I added the dragonfly, and pearls from the kit as well. 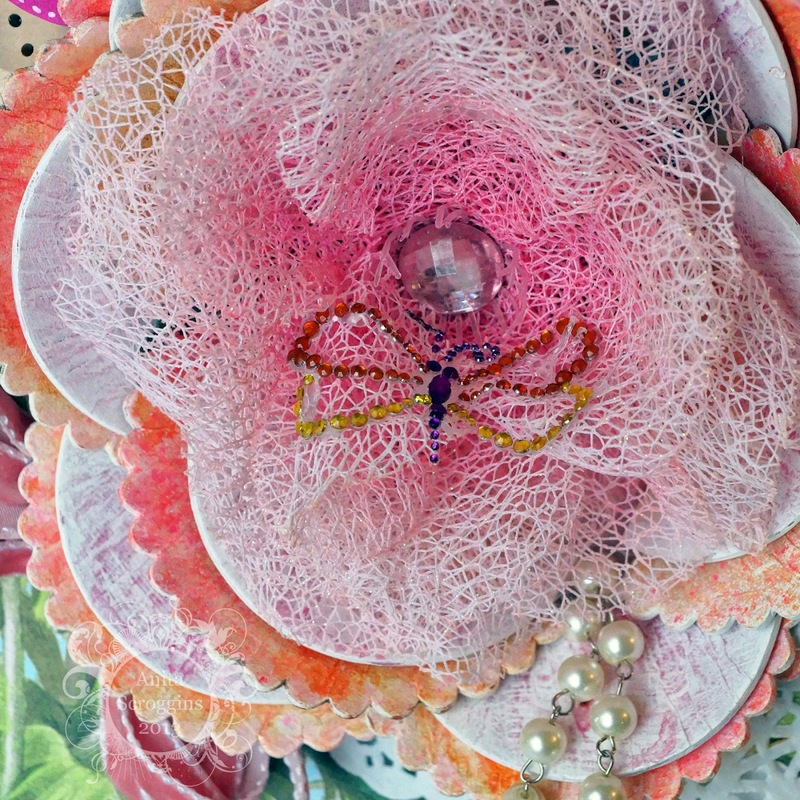 I added in some flowers and a paper doily from my stash. I sprayed the chipboard with Dylusions and added accents with my white pen. 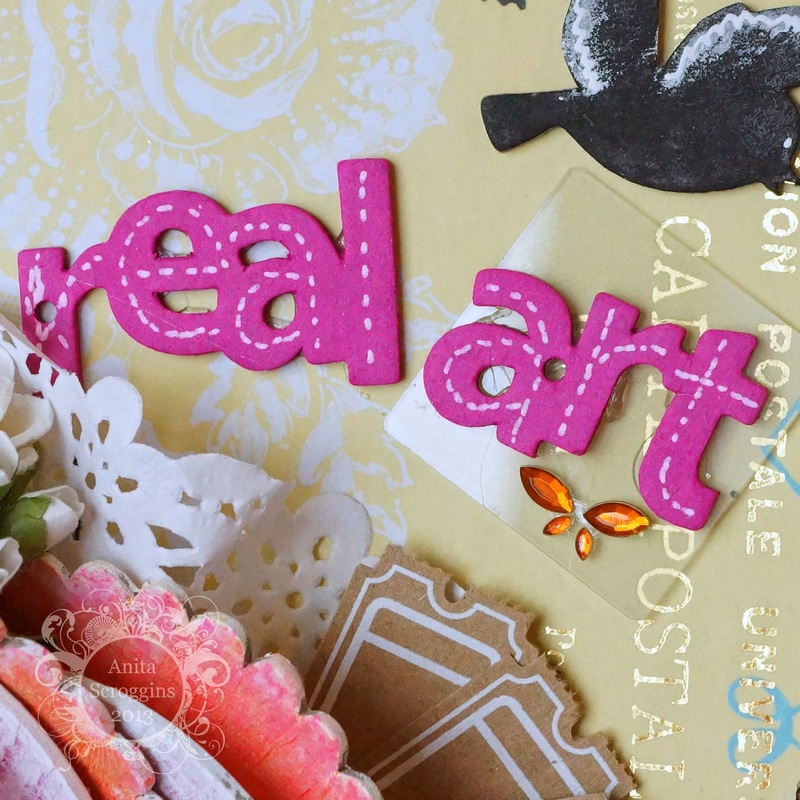 I love how the title came out- I added a glass slide under one of the words for some dimension. 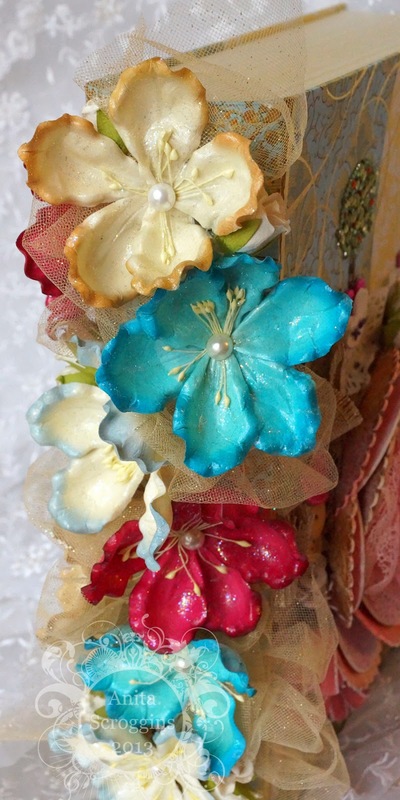 I have had these flowers hanging around the studio since I bought them at convention I don't know how many years ago! I thought they were perfect for this project! 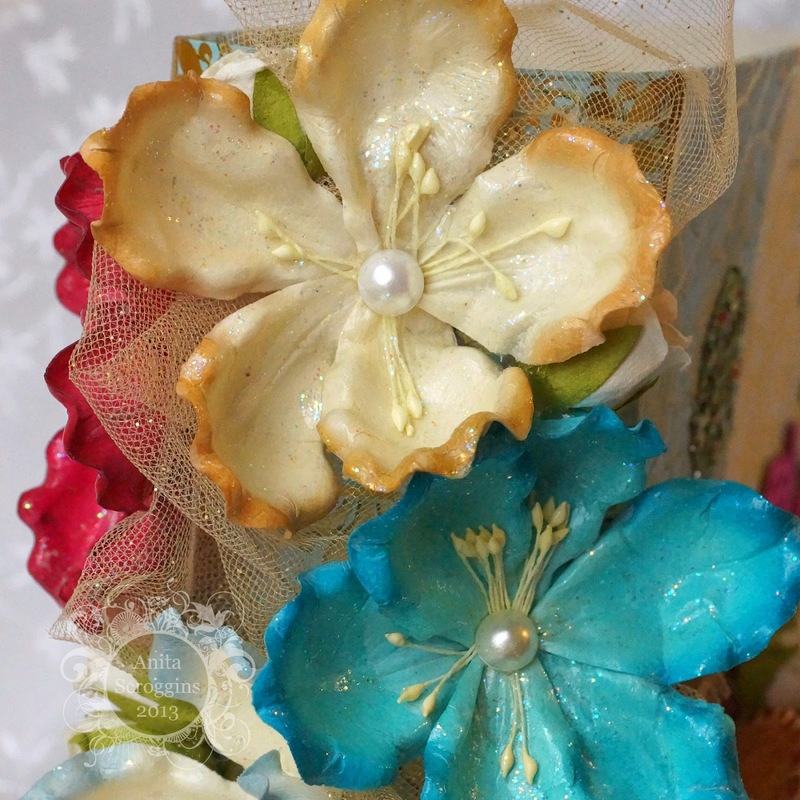 I painted each flower with Sparkle Modge Podge- who doesn't love that stuff! The gold tulle is from my stash as well. 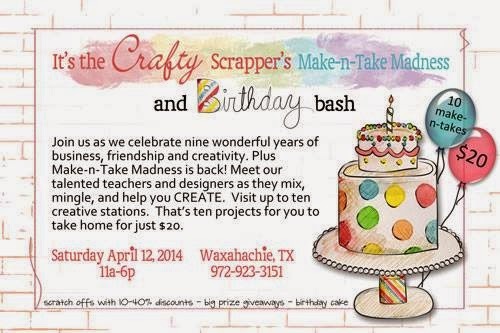 big Birthday Bash on April 12th- We will be featuring a project from one of our designers every day!